We are your new and used Nissan and Kia Dealer in Orange County. We have been family owned and operated since 1926. 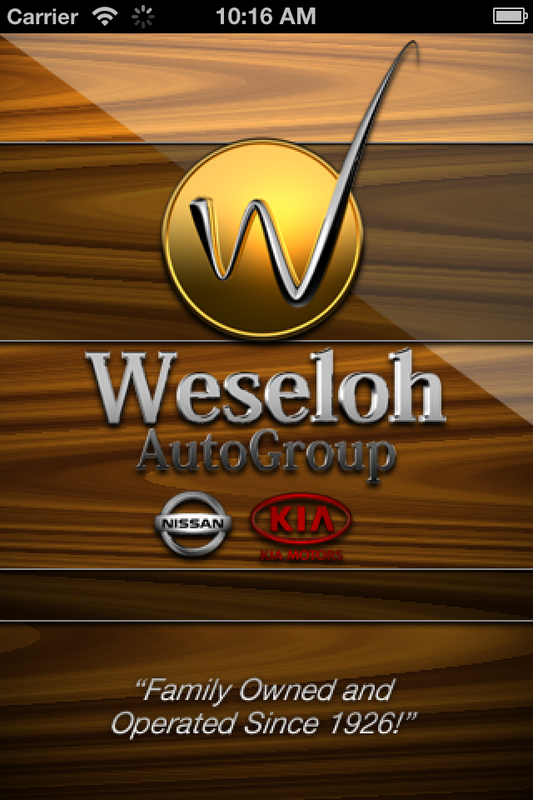 At Weseloh customer satisfaction is absolutely priority #1. 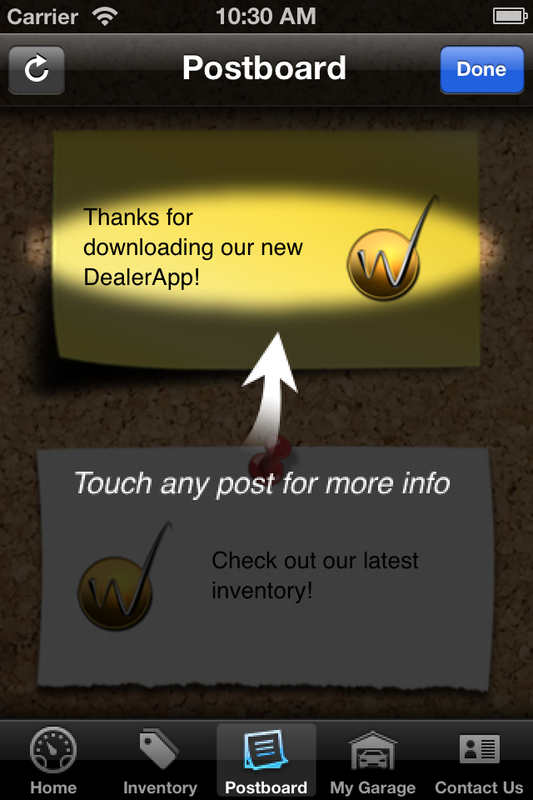 - Full Vehicle Inventory integration. Browse or search our entire inventory without ever seeing a slow mobile website. Save the ones you like as favorites. 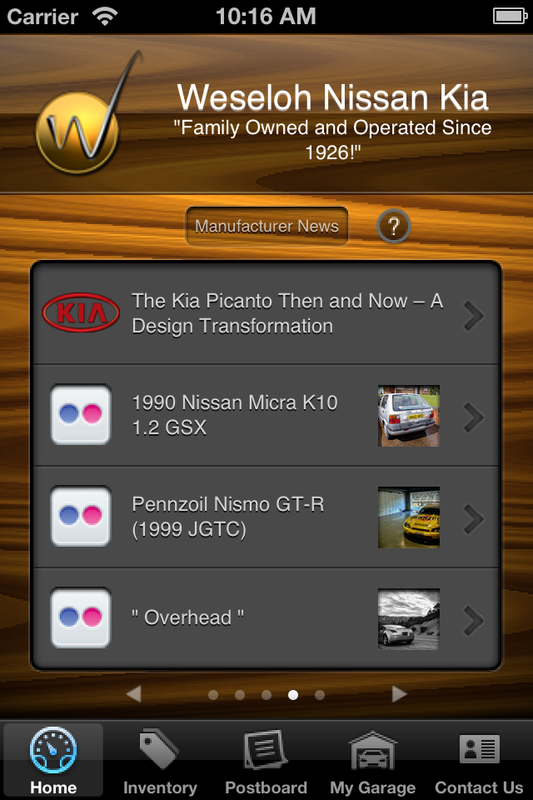 Flip your device sideways while looking at a car to see all the images in cover flow mode! 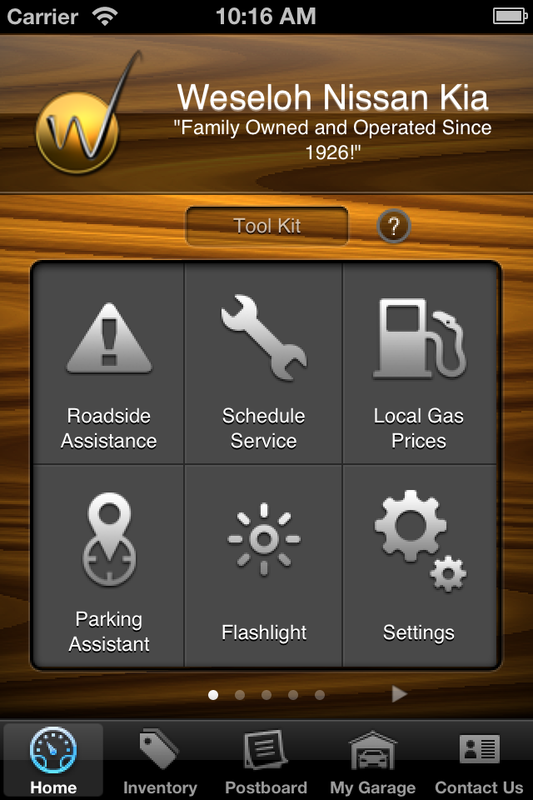 - Keep track of all your own personal vehicles in "My Garage". Add a photo of your vehicle and track things like: VIN, Year, Make, Model, License Plate, Oil Type, Tire Size, Date Purchased, Price Paid, Initial Mileage, Insurance Co., Policy No., and add all the extra notes you want. - Service History is also available for each vehicle in "My Garage", see pending service appointments, add them to your calendar, and mark them as completed when finished! - Twitter and Facebook integration allows you to retweet and post anything to your own Twitter feed or Facebook wall! - Manufacturer news helps you keep up-to-date with all the news and happenings in the Nissan and Kia worlds! 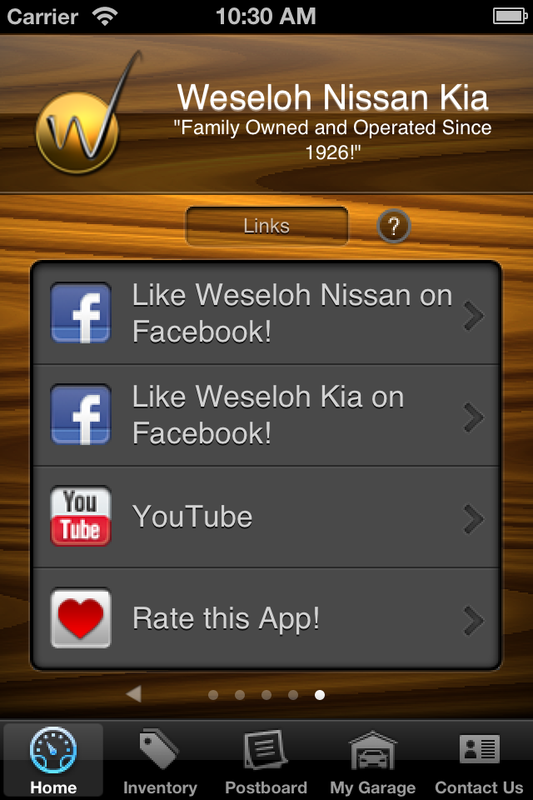 Other Apps by Weseloh Nissan Inc.